High gain, directional Wide Multi band cell phone antenna kit. Includes 30' WPS-240 N Male to SMA Male for Novatel T1114 Verizon LTE Router. 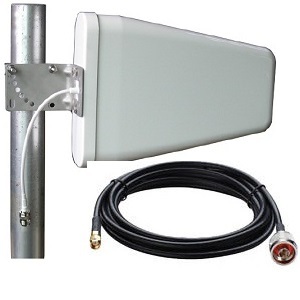 The wpsantennas.com Novatel T1114 Directional Antenna Kit has been created to solve poor signal problems with the Verizon T1114 LTE Router. This LTE Router Antenna Kit consists of a 30' Low Loss WPS-240 Cable Terminated with N Male and SMA Male, and an 11db Directional antenna. In testing, wpsantennas.com expernenced a 10-15 db gain compared to using the unit with no antenna attached. Speeds and latency also improved by 50%. 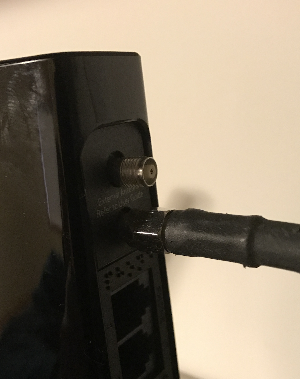 External Antenna for LTE routers with SMA antenna port. Top Port is for CDMA Voice Service (two kits would be required if both voice and data signal enhancement is desired).